DEW ON THE NO. 24 CHEVROLET SS: Mountain Dew will be the primary partner on board Rookie of the Year contender Chase Elliott’s No. 24 Chevrolet SS this weekend at Richmond International Raceway for the first time this season. 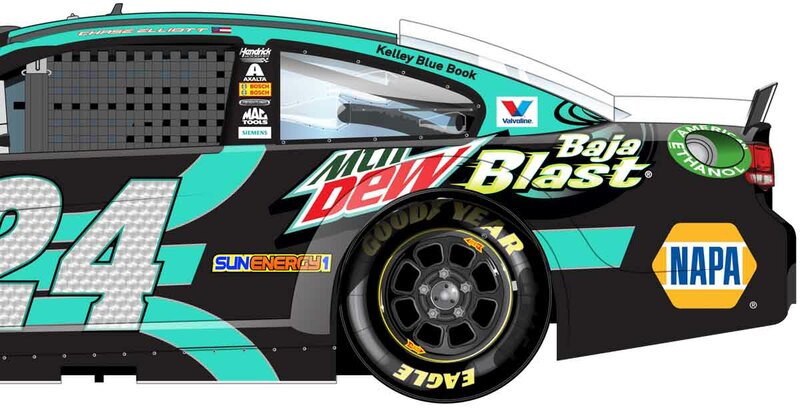 Mountain Dew will be utilizing Elliott to promote their DEWcision summer promotion having the driver endorse “Baja Blast”. Mountain Dew is in its 16th season of partnership with Hendrick Motorsports and 2016 marks the first time the DEW brand will field a three-driver lineup. IT’S YOUR DEWCISION – #VOTEBAJABLAST: Elliott has teamed up with Mountain Dew for their summer DEWcision campaign which will decide which flavor to bring into their core lineup – “Pitch Black” or “Baja Blast”. Elliott will be endorsing “Baja Blast” through a television commercial and social activation featuring the driver trying to sway Dale Earnhardt’s vote for “Baja Blast” while his teammate Kahne is endorsing “Pitch Black”. 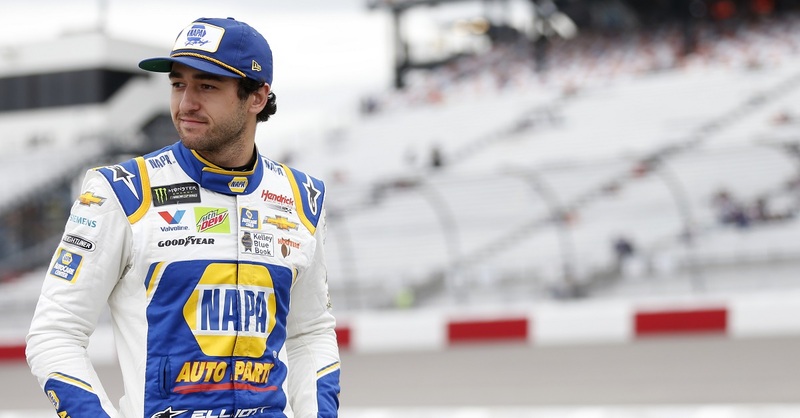 The commercial will air nationally during the April 24 race on FOX, where all three Hendrick Motorsports teammates will race together in DEWcision paint schemes representing their respective team’s flavors to kick off the campaign. Fans will be able to help Elliott push “Baja Blast” through July 9th by voting for their favorite flavor on DEWcision.com or Twitter by including #VoteBajaBlast in their tweets. ROOKIE RANKING: Elliott leads the 2016 Rookie of the Year contender standings heading into Richmond by 21 points over second-place Ryan Blaney. Elliott has accumulated a total of 105 rookie points this year through the first eight races. Among active drivers, he is tied with teammate Johnson for the most top-10 finishes (five) through the first eight races of a rookie season. 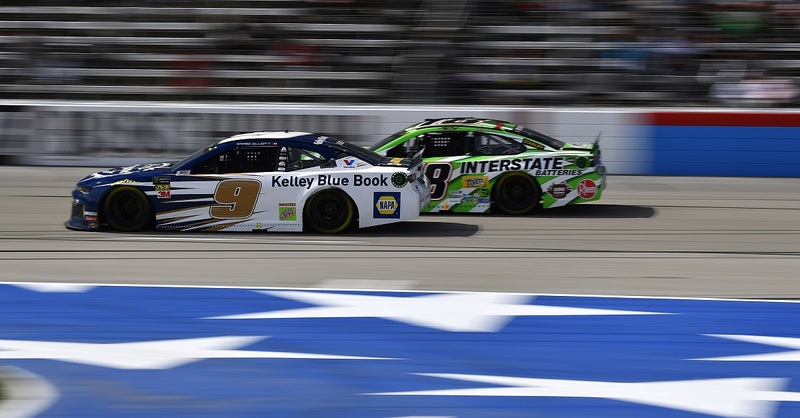 TOP-FIVE STREAK BEGINS, TOP-10 FINISHES CONTINUE: Elliott, fresh off his first career top-five finish two weeks ago in Texas, upped the ante Sunday at Bristol as he captured a career-best fourth-place finish in the 500-lap race. Including his top-five efforts at Bristol and Texas, Elliott has earned five top-10 finishes in the first eight races of the 2016 season. The Dawsonville, Georgia, native secured his first top-10 finish of 2016 at his home track, Atlanta Motor Speedway. ELLIOTT AT RICHMOND: Elliott made his Richmond NASCAR Sprint Cup Series debut at the 0.75-mile track last year, starting 16th and maintaining his starting position to finish 16th. 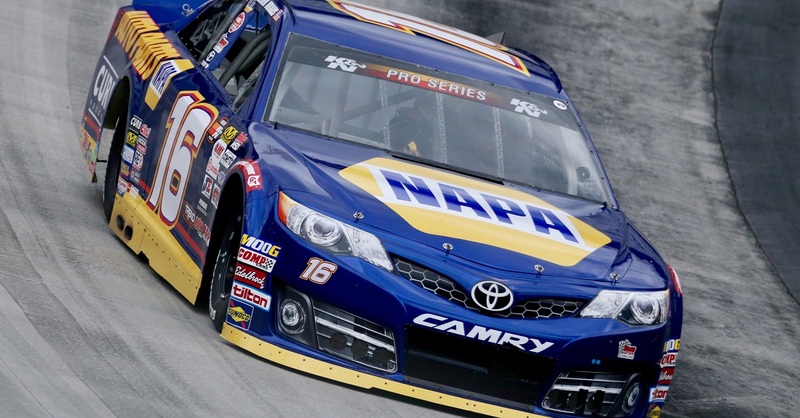 In addition to his Sprint Cup track debut last April, Elliott was also able to capture a win at Richmond in the NASCAR XFINITY Series in September 2015. GOING HOME: Richmond International Raceway is the home track for Lee Dodson, a mechanic on the No. 24 Mountain Dew Baja Blast Chevrolet SS. 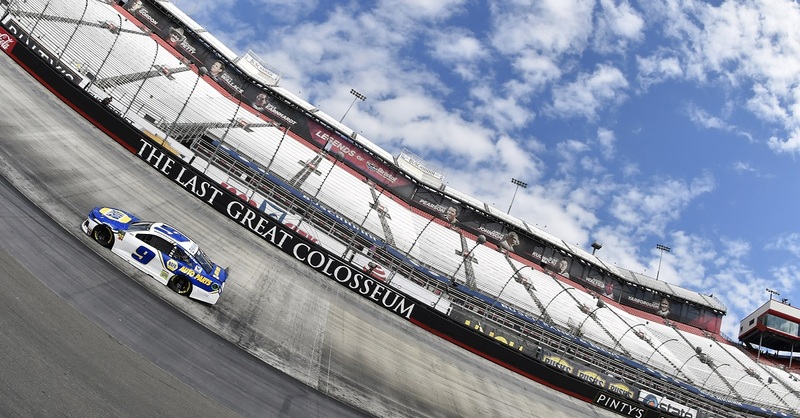 Dodson originates from Courtland, Virginia, a city located approximately 72 miles southeast of the raceway.